Am I a candidate for Chin Augmentation? The best candidates for chin augmentation are people with weak or receding chins (microgenia) but who have a normal dental bite and are in otherwise good health. Chin Augmentation surgery typically lasts for around one hour and is usually performed under general anesthesia or with sedation. During the procedure, an incision is made, either inside the mouth or outside under the chin. A pocket is created in front of the chin bone and under the muscles and the implant is placed inside. Dr. Jejurikar will then either reshape the bone, add an insert, and/or relocate fatty tissue depending on your treatment plan. You will be able to resume light activity the day of surgery but you will feel some discomfort and soreness for up to three months. You should be able to return to work and your usual activities within seven to ten days, and it may take up to 6 for any swelling to completely subside. Dr. Jejurikar will be happy to talk with you personally to address any of your questions or concerns. 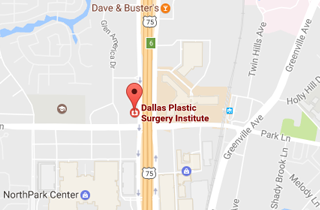 Call (214) 827-2814 to schedule your one-on-one consultation with Dr. J. to discuss a Chin Augmentation (Chin Implant) at our office located in Dallas, TX.